"THRILLS is a future primitive creative faction for the modern day outsider"
I found about this brand when I was in Melbourne last time. Apparently, popular streetwear fashion retailers, such as General Pants and Universal Store, stock this brand and I did not know about it before. I love how simple yet still have the modern edgy touch to their clothes. Not to mention that it's still affordable with good quality too. Sometimes, to make a piece of garment look good is to style it nicely. In this outfit, I was wearing Thrills t-shirt paired with my new knee ripped jeans that I just bought. It was actually just a skinny jeans and I just cut horizontal lines on the ankle line. You guys probably wonder why I don't just buy a pair of ripped jeans instead of ripping my own jeans? Truth is, I don't wear jeans often because I'm really picky about them. I think a good pair of jeans has to be comfortable, breathable and has enough stretch. In addition, it has to make me look taller and not shorter. Not all brands are qualified for this, so that's why. 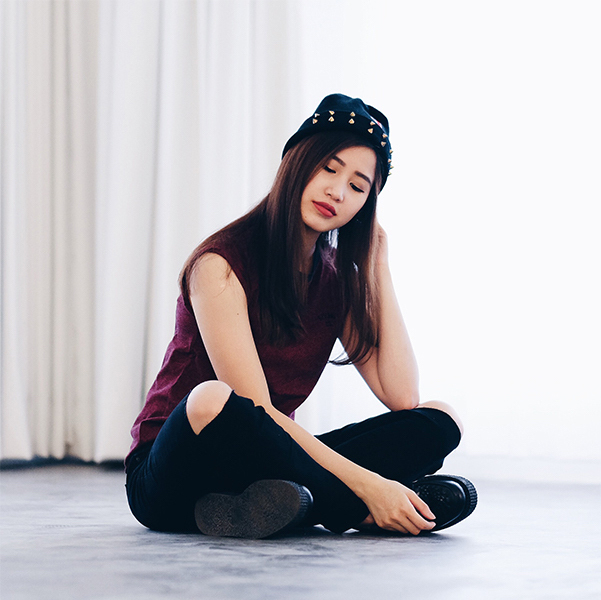 Lastly, one of the keys to looking edgier is to wear cool creepers and studded accessories such as the beanie I was wearing. I got mine from UNDERGROUND creepers and beanie from ASOS. Deasy!! just faound your blog! really love this style you're so cool! I love creepers! I should start wearing mine again. cute beanie! 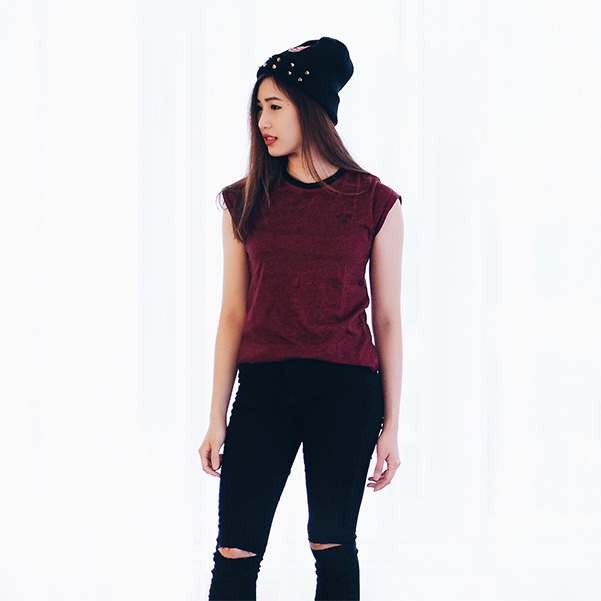 Love your edgy outfit :) !